PRAGUE/BUDAPEST (BosNewsLife)-- The Czech Republic has welcomed home the human remains of Cardinal Josef Beran, seen as a symbol of defiance of the former Communist government which forced him into exile in the Vatican. 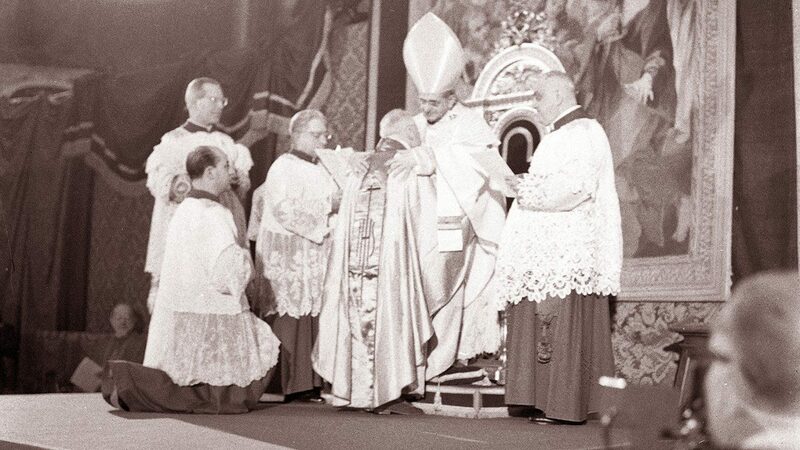 The cardinal, who died 49 years ago, always wanted to be buried in his homeland. PRAGUE/BUDAPEST (BosNewsLife)-- The mortal remains of Czech Cardinal Miloslav Vlk, a devoted believer who washed windows and ministered underground during communism, were placed in a tomb at St Vitus’ Cathedral in Prague Saturday, March 25, following a funeral service. PRAGUE/BUDAPEST (BosNewsLife)-- The Czech Republic's Foreign Ministry says a Czech Christian who was sentenced to a stiff prison term in Sudan last month has been released and returned home late Sunday, February 26, with the Czech Foreign minister. The release of Petr Jašek followed international pressure. PRAGUE/KHARTOUM (BosNewsLife)-- The Czech Republic has condemned a Sudanese court's ruling that sentenced a Czech missionary and film maker to 20 years imprisonment, while a local pastor and a Christian activist reportedly received a 12 years jail term. PRAGUE/BUDAPEST (BosNewsLife)-- The Czech Republic is in shock after nine people, including the gunman, died in a shooting at a restaurant in the town of Uhersky Brod, 300 kilometers south west of Prague, though the government denied it was a terrorist attack. PRAGUE, CZECH REPUBLIC (BosNewsLife)-- The Palestinian Foreign Ministry says it will send a delegation to Prague to help investigate the circumstances surrounding the death of the Palestinian ambassador to the Czech Republic, who died Wednesday, January 1, in an explosion.